I love football season. Y’know, even when I was a kid and not really into the NFL just yet, I still loved football. Of course, this was more a cartoon about a football-shaped head kid named Arnold from Nickelodeon’s Hey Arnold! cartoon! If you remember the show, or want to get your kids into a classic cartoon, you’re in luck. For the first time ever, you can get every living second of Hey Arnold! in one incredible DVD set. Yep, Hey Arnold! 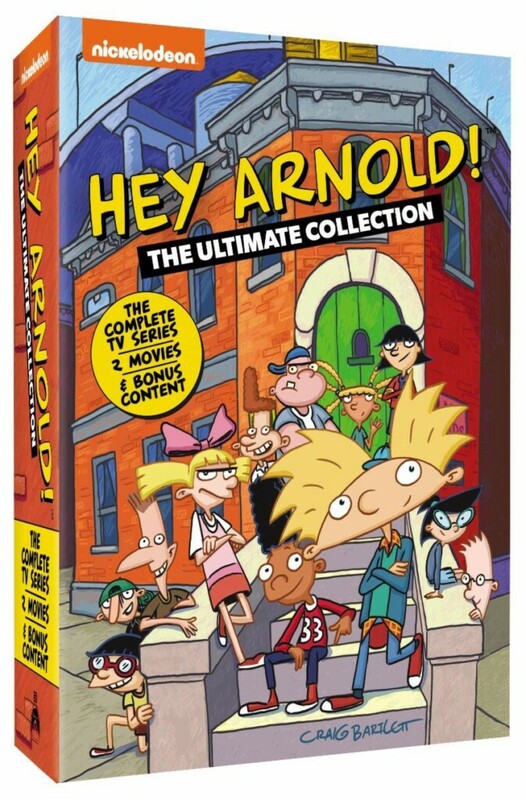 : The Ultimate Collection features all 100 episodes of the original show (that’s five seasons worth! ), plus the two original movies. The Ultimate Collection includes a whopping 18 discs with a total running time of 42 hours and 43 minutes. Talk about your binge watching! If you’re like me, you love living in the past and re-living your favorite games and cartoons (and food!) from your childhood. Hey Arnold! The Ultimate Collection would make the perfect holiday gift too. Giveaway ends on December 17, 2018 at 11:59 p.m. ET. The 1 winner will be chosen at random and announced on this site. Giveaway is open only to legal residents of the United States (including District of Columbia), who are at least eighteen (18) years old at the time of entry. The 1 Winner will be notified by email and have 48 hours to respond or a new winner will be chosen. My favorite part of childhood was when I played sports. I loved having time to do so much playing all the time…and hanging out with friends and just doing so much pretending & making up games. I loved rollerskating with my sister when I was a kid. Riding my bike and playing with friends. My favorite part of my childhood was playing outside with all the kids in the neighborhood. My favorite part of childhood was hiking in the creek with my grandfather behind his house. We would spend hours down there on a Saturday afternoon. Thank you for the great giveaway. Happy holidays! Visiting my grandparents was my favorite part as a child. my favorite part of my childhood was when I got to play with my big brother and friends. This would make a great gift for a special grand son. Thanks for the chance to win this awesome prize.